Where I've been fishing lately in the northern lower, a lot of male sunfish have built nests and are hanging around waiting for the females to ripen their eggs and drop them in the beds, but I figure that the major spawning activity is still a week or more away. 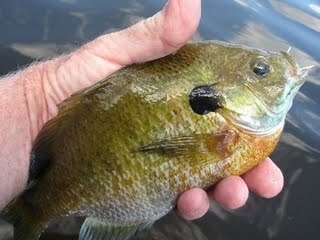 Some lakes in the Upper Peninsula don't see bluegills start spawning until well into June. Fortunately, no one reads this rag, and the few that do don't believe anything in it.